Mrs. Miner's Kindergarten Monkey Business: Holy Cow! It's SALE TIME! Clean Out Your Wish Lists! Holy Cow! It's SALE TIME! Clean Out Your Wish Lists! So excited to clean out my always full to the brim wish list at TpT! What better time to do it than during a saleeeeeeee! My entire store is 20% off, then if you add the promo code HEROES for an additional 10% off! This only happens a couple of times a year, so you MUST take advantage. Head on over to my TpT Store to find some great deals and bargains and take advantage of the sale. 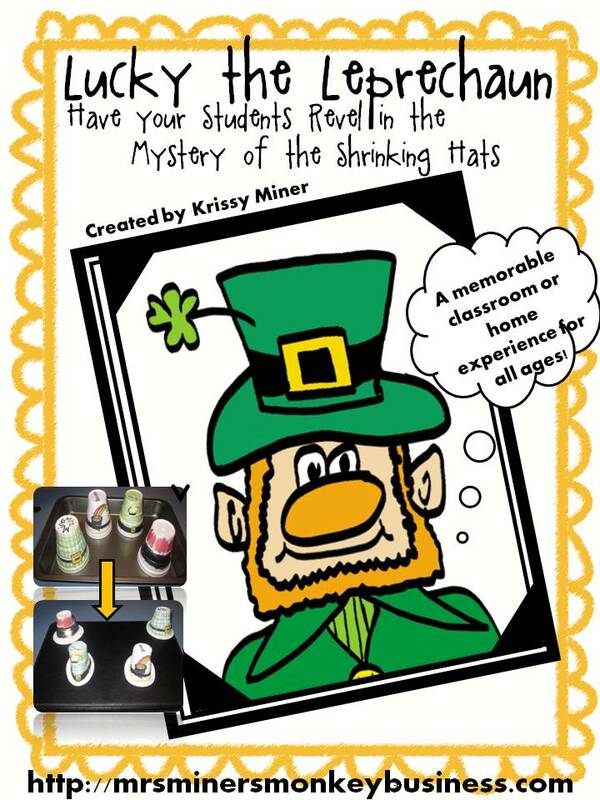 Get ready for St. Patrick's Day with my Lucky Leprechaun kit and make some great memories with your students (read more here) or stock up on my easy to implement centers and work stations. Only $3.60 during the sale for years and years of making unforgettable memories with your students! Seriously, the best organizational tool you could find to manage individual student lists of letter/sight words...only $4.32 during the sale! Parisian watchmaker and jeweler is still the most important brand of the Richemont group.The Christian Dior bag has become alike and iconic to Gucci , and something every affected woman have to own. This is the ultimate affluence if it comes to the Louis Vuitton handbags .Good Hermes Handbags Replica auction is a acceptable choice.